Three of the soldiers are now said to have been arrested for attempting to oust President Ali Bongo. Gabon’s Presidency has said that two soldiers who took part in Monday’s attempted coup have been killed. The soldiers had accompanied an army officer to the national radio building to announce the seizure of power. 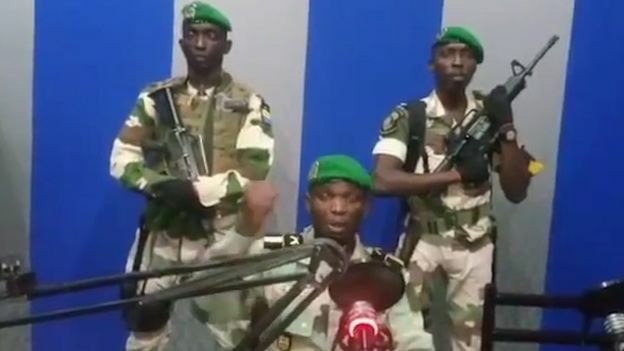 In a televised message to Gabonese said the soldiers said their action was meant “to restore democracy” to the country. 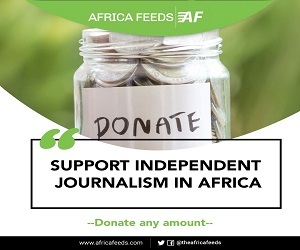 But the presidency of Gabon said two of the soldiers were killed when security forces stormed the radio station. The African Union has already condemned the attempted coup. The AU commission’s chairperson sent a tweet shortly after the news. President Ali Bongo has been undergoing medical treatment in Morocco. He suffered stroke last year during a trip to Saudi Arabia. With Ali Bongo’s absence due to illness the Gabon constitutional court moved to end a governance crisis. The Constitutional Court said it had to modify the constitution to address the scenario of “temporary incapacity” by the head of state. The constitution, before the amendment by the court, says only the president can authorise the vice president to organise a cabinet meeting. Bongo became President in 2009 taking over from his father Omar Bongo. His father had been president for more than 40 years. This year a new constitution was adopted in Gabon scrapping the country’s presidential term limit of two seven-year term. The new constitution received overwhelming votes from members of Gabon’s national assembly.